Yesterday was the perfect day for a bit of sunshine in the way of garden catalogs. 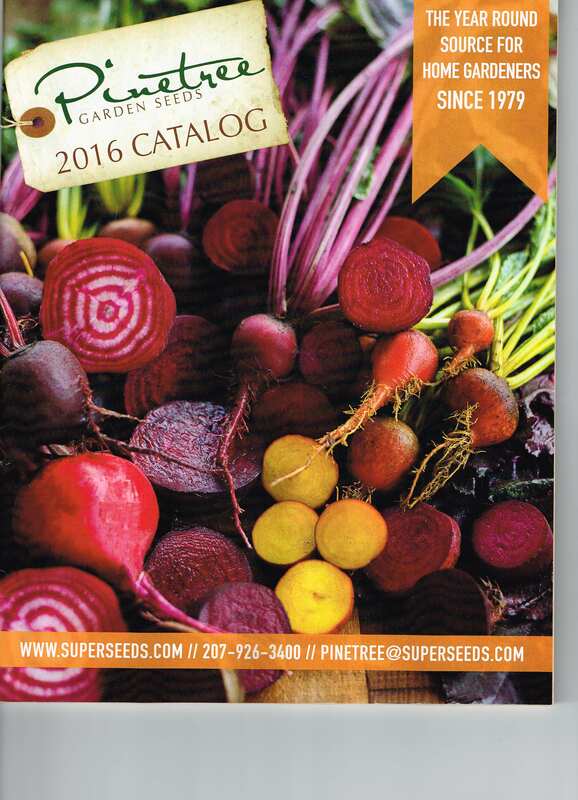 I found a copy of the Pinetree Garden Seeds Catalog in my mailbox, and in my virtual mailbox I received notification of the new edition of the Baker Creek Heirloom Seed Catalog. Both of these favorites were a high point in a rather cloudy day. The arrival of these catalogs prompted me to pull out last year’s garden journal. I use a spiral notebook for my garden notes. I appreciate having the option of pulling out a page I’m disappointed with, and I also like the low price. (50 cents to $5.00) I’ve tried fancier, and more expensive journals, but prefer an inexpensive spiral with an interesting print as a cover, or as in the case of this year’s notebook, an intense garden green. 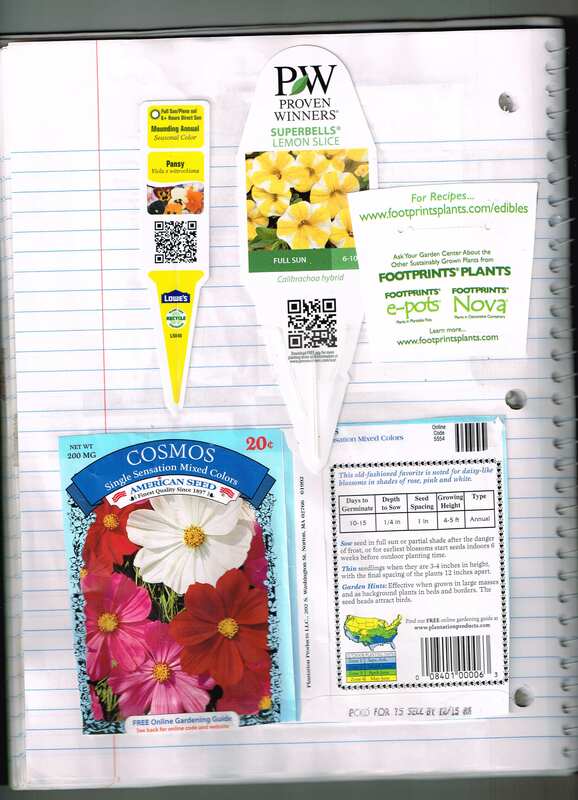 I tape plant tags, glue down used seed packets, and make notes to myself on these pages. Perhaps tonight I will read through each entry and highlight the plants that were successful, or write a big, “NO!“ beside the disappointments I don’t want to repeat. Even though gardening might be a low priority on your to-do list now that Autumn is waning, it is the perfect time begin dreaming and planning for the 2016 growing season. I always lose information for plants I buy so it has helped me too! Cosmos are great, I like to cut them for the house. When I look through it I find it amazing how many garden moments I forget…this is a good reminder. Keeping it inexpensive allows me to be very free with what I do. I don’t try to make it neat, and the pages have many garden soil fingerprints.